The Branded Content Barometer: Christmas Special! As branded content grows in stature within the marketing mix of the biggest brands in the world, we review four prominent Christmas ads and assess the reasons behind their social performance. In an era of national polarisation following Brexit, conscious campaigns like Tesco’s ‘Turkey, Every Which Way’ are more important than ever. Christmas is a time in which families of all backgrounds come together to share in special moments. One of those universal moments captured in Tesco’s inclusive commercial is the story of the turkey roast. Advertising agency BBH were the masterminds behind this one-minute clip featuring a number of UK families preparing, cooking, and eating their holiday turkey ‘every which way’. The video’s hashtag ‘#EveryonesWelcome’ is a smart way to build a trend around their content and brand for the holiday period. What’s wonderful about what BBH have created, is the factor of realism. Whilst watching, you can easily get drawn into the magic of the holiday season and forget that they are actors. Unfortunately, the video in racking up around half a million views has birthed an unwelcome dark side. A pleasant commercial aimed at bringing cultures together, tells a different story in the YouTube comments section below. This is a place where vulgar keyboard warriors have threatened to boycott Tesco’s and question the casting of certain families in the commercial. More power to Tesco for ignoring the vitriol of the bigots and making it clear that #EveryonesWelcome in this country. I know where I’ll be buying my Christmas Turkey from this year. A modern-day Cinderella is on Twitter in Debenhams’ Christmas commercial ‘#YouShall Find Your Fairytale’. This twenty-first-century twist on a classic fairytale is a heart-warming story for the holiday season. The story begins with a girl leaving a sparkling shoe on the train – shoes that no doubt will sell well if they are on sale at Debenhams this Christmas. Narrated in the soothing Scottish lilt of Ewan McGregor, the JWT-commissioned clip has amassed over 1.2m views so far. Social networking fails bring the video’s Cinderella and Prince Charming back together. However the ending is painfully relevant in today’s society of digital ubiquity. The two finally meet as Prince Charming is walking down the street looking at his phone (Who isn’t these days?) and bumps into his romantic crush. Raindrops on roses and Sky Christmas movies, these are a few of my favourite things. The true meaning of Christmas is clear in Sky Cinema’s 2017 holiday commercial. It is a time for connection and bonding. The story follows the meaningful relationship between a mother and daughter as the years go by, catching a view of them each Christmas. As they both grow and change, the one thing that remains constant is their tradition of watching ‘The Sound Of Music’ together. The uplifiting clip was produced by advertising agency WCRS and currently has close to 100K views. The important message from Sky is that movies can bring families together and create special bonds. It’s a reminder to switch the telly on after the big Christmas lunch is eaten and digesting, for a magical immersion into the world of Sky Cinema. What is so relatable about this clip, is that countless people have their own family Christmas movie. Whether it’s the Arnie feel-good ‘Jingle All The Way’, Jim Carey’s hilarious ‘The Grinch’, or the ultimate classic, ‘Home Alone’, you can never go wrong with a good Christmas movie by the fire. So what will your family be watching this Christmas? A special mention goes to John Lewis’s Christmas commercial that has already drawn 9 million views to the YouTube clip. This is the highest watched Christmas commercial of the season so far, which is not surprising considering the reputation the department store giant have made for themselves over the past few years. In fact, the 2nd, 3rd, and 4th most watched Christmas commercials of all time are by John Lewis, with a combined viewership of over 83m. These videos sit on a list behind Sainsbury’s 2015 commercial ‘Mog’s Christmas Calamity’ which has a boastful 37m views. 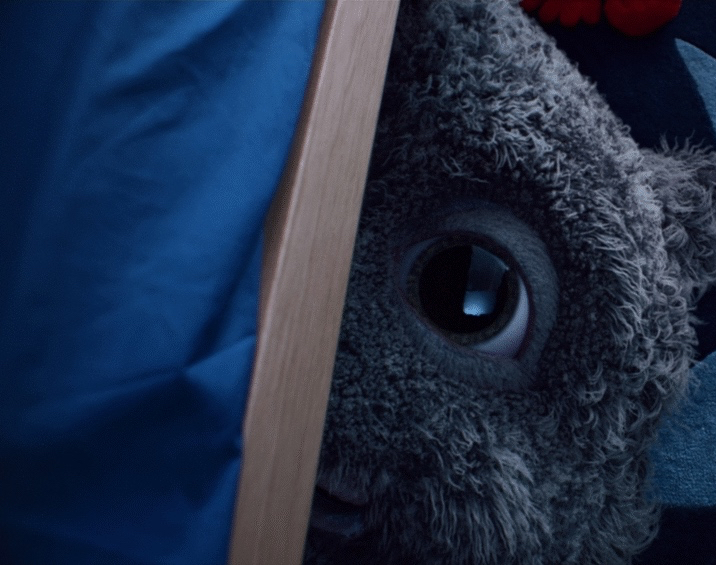 John Lewis’s 2017 clip is a fun story about a young boy who is terrified to go to sleep, but overcomes his fear with a little help of his friend Moz the Monster. There is a beautiful soundtrack to accompany the tale and John Lewis slots in some cheeky product exposure at the end to remind us where the best place is to buy gifts this season. Aside from the fact that it would be near impossible for a football to stick to a furry monster, this clip is playful, memorable, and brings a smile to the face. Let’s see if they can knock Sainsbury’s from the top spot this year!